Cecil B. DeMille’s contribution to 1939 is typically big, long, dumb and fun, decorated by a couple of eye-boggling train wrecks. 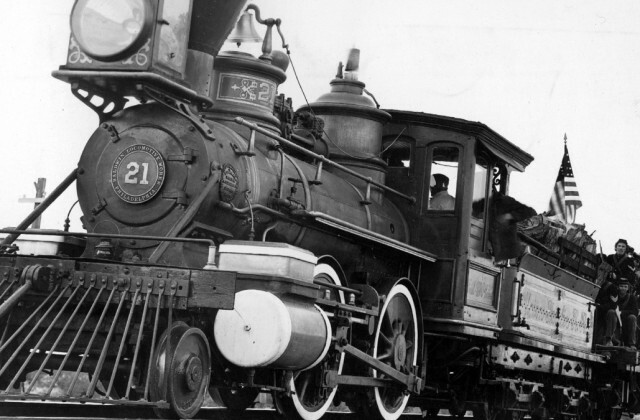 The ‘story’ of the building of the Transcontinental Railroad, and of the good & bad folk who built it is a ripe example of collaborative Hollywood bull, prime hamming and technical craftsmen muscle-flexing. The script and director DeMille’s handling of it is choked with corny lines and ripe situations, cheerfully violent. 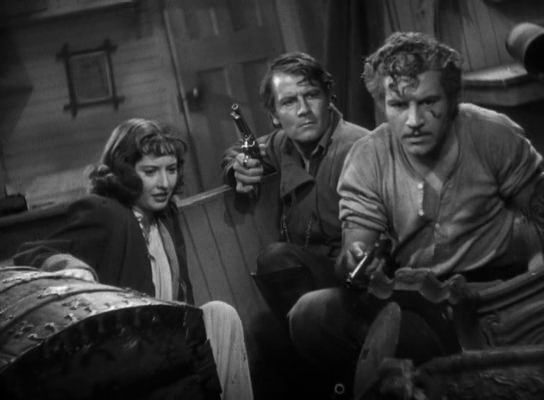 The cast have a ball: a calm Joel McCrea as trouble-shooter for the law & order lineup; a cute Barbara Stanwyck, enthusiastically bleeding blarney as a feisty Irish colleen; 21-year-old Robert Preston, arrogant and testy as a good heart in bad guy; Brian Donlevy, ever watchable as leader of the vermin—a group of casualties who include Anthony Quinn at his slickest. Akim Tamiroff and Lynne Overman, as the heroes buddies, chew the scenery with gusto. Eight writers had a hand in the wooly script, which has a goodly chunk of the railroad crews Irish. They were present in numbers, amounting to a tenth of the total involved, but it doesn’t bother to even mention the Chinese, who made up 2/3 of the 4,000 men who toiled in the great nation-binding saga. With Stanley Ridges, Henry Kolker, J.M. Kerrigan, Robert Barrat, Evelyn Keyes, Regis Toomey, Fuzzy Knight, Harry Woods, Lon Chaney Jr., Joseph Sawyer, Byron Foulger, Ward Bond, Iron Eyes Cody, Richard Denning, James Flavin, Will Geer and Elmo Lincoln. 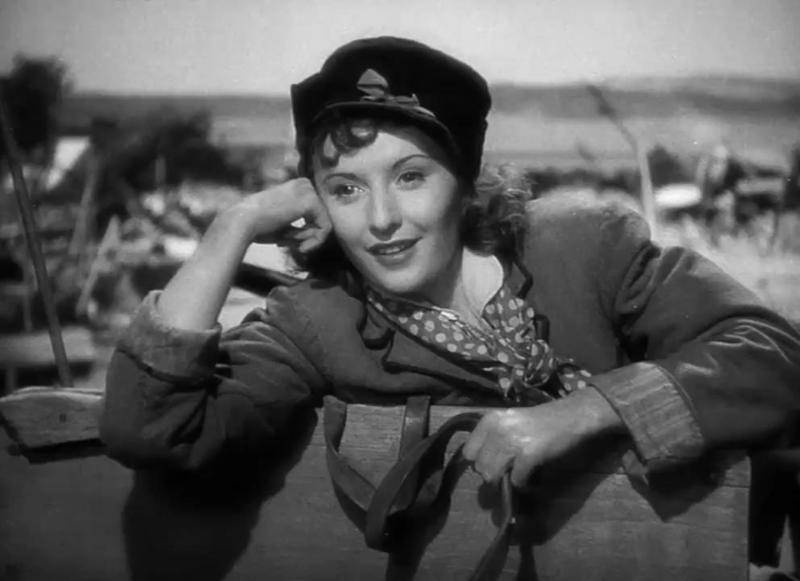 * DeMille, from his autobio, on Stanwyck: “…I have never worked with an actress who was more co-operative, less temperamental, and a better workman, to use my term of highest compliment, than Barbara Stanwyck….Barbara’s name is the first that comes to mind, as one whom a director can always count on to do her work with all her heart”. 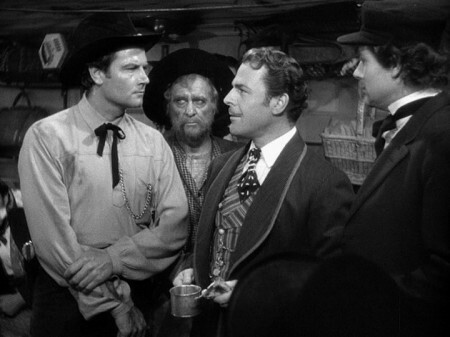 1939 was a big year for Brian Donlevy. 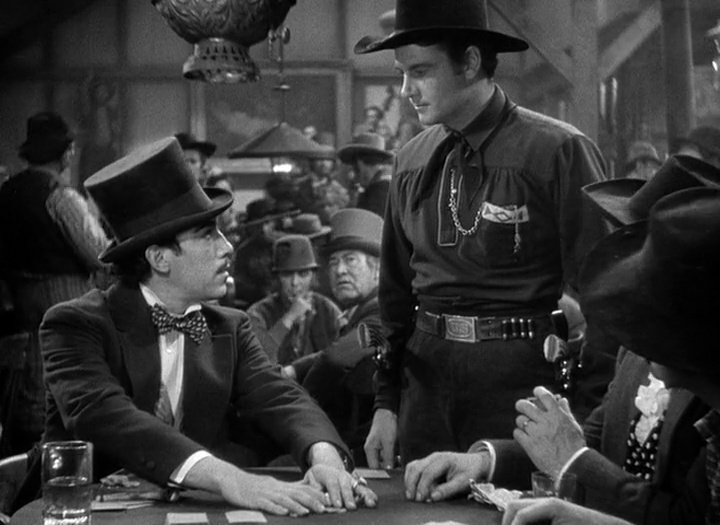 He was in six pictures, including classics Jesse James, Destry Rides Again and Beau Geste, which gave him an Oscar nomination for Best Supporting Actor. I just hope that someday I’ll own a big ranch, with three fine sons and a hot daughter.